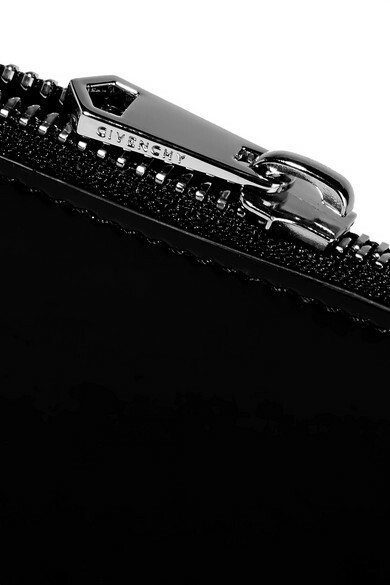 Givenchy's pouch is perfectly sized to fit the necessities, so you can slip it into your tote when traveling or carry it as a clutch in the evening. 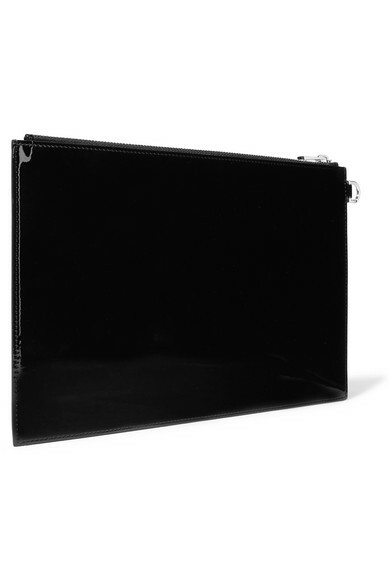 It's been made in Italy from glossy patent-leather and designed to look as though it's spray-painted with the house's moniker. 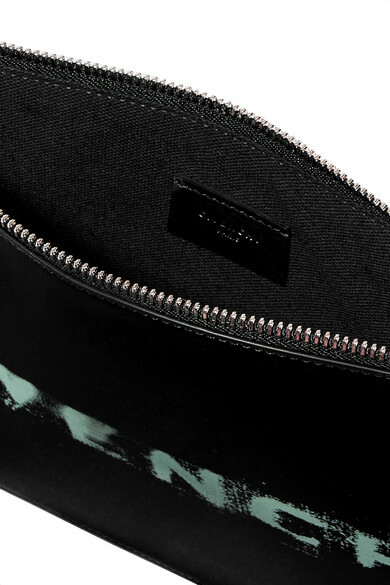 The zip fastening will make sure your essentials are stowed away safely. Shown here with: Givenchy Top, Givenchy Shirt, Givenchy Skirt, Givenchy Sock boots.